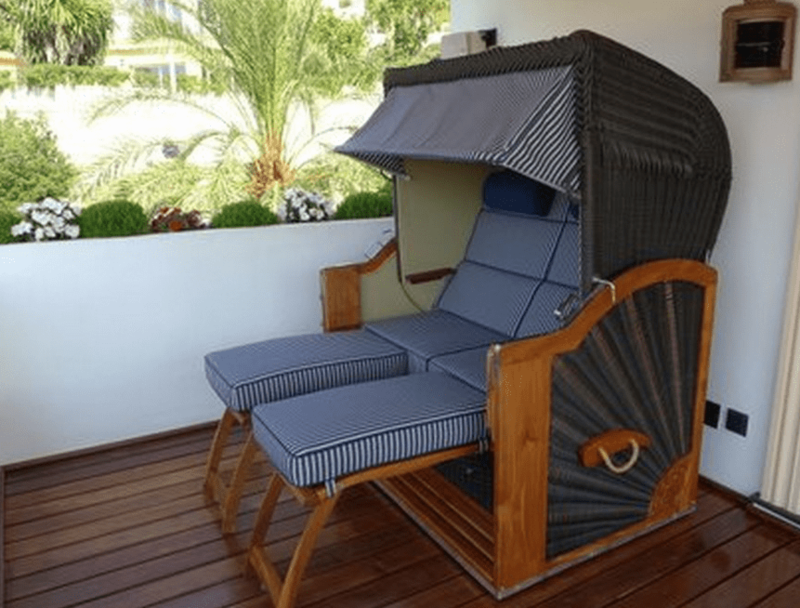 Upholstery fabrics exposed to the weather ought to be beautiful but, before all, durable and resistant as they have to cope with many exigencies being afflicted by sunrays, humidity and dirt. And here, cheap can soon become expensive if only one season managed to make your cushions shabby or unusable. 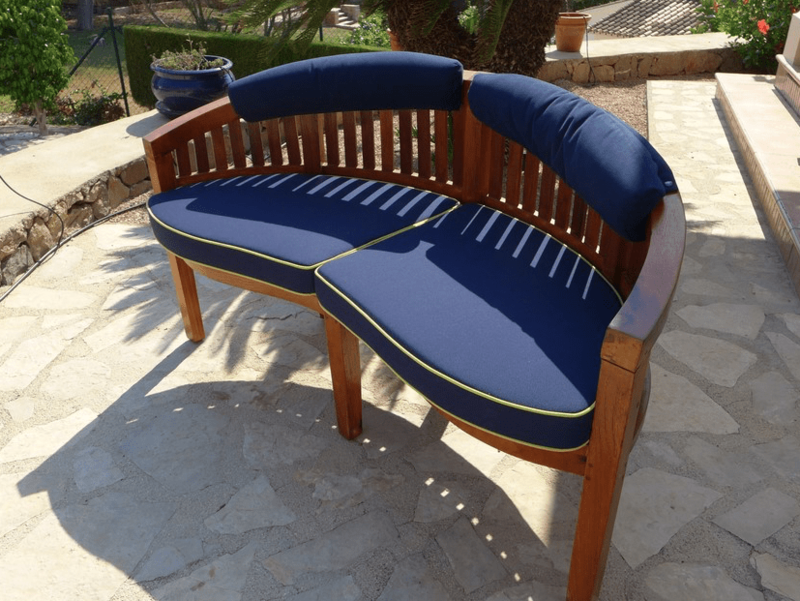 In my workshop I manufacture a large variety of individual cushions according to your desires. Due to the many years of collaboration with my suppliers I have access to a large repertoire of colours and outdoor fabrics of the latest generation. 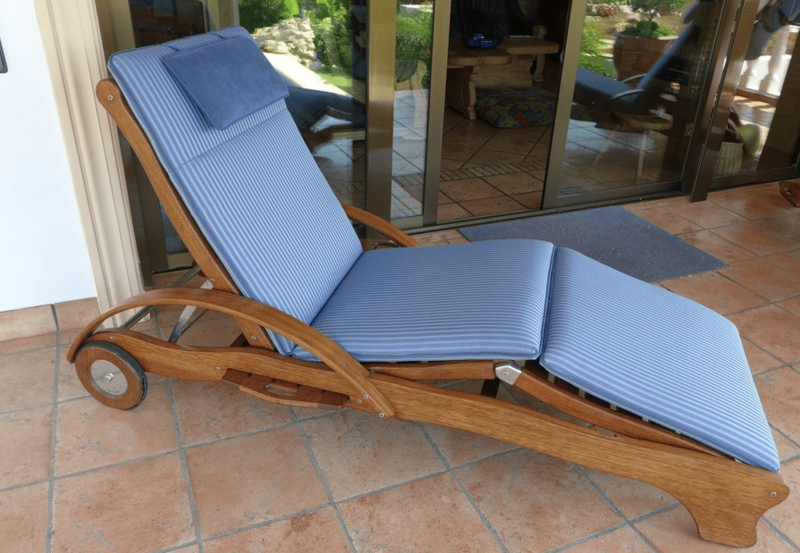 Meanwhile, the highly developed state of these outdoor fabrics enables them to endure a lot. All of them are made to preserve their beautiful appearance for a long time. On top of this they are shape-retaining and especially easy to care. For very fine edgings of seat and backrest cushions I employ exclusive cording made of Alcantara individually adapted to the particular style, which ennoble every cushion. resistant to mildew and fungi attack.